Nitty-gritty. : WHAT IS IN FOOD SEF! WHAT IS IN FOOD SEF! Food! Humph! What this has caused in families, you won't believe! No matter how we try to play the ostrich over this matter, food still remains the major issue in every household! The system of operation depends on the size of the family and income! 'You can't use your 10 fingers to eat' so says a parable; One has to know how to live within a certain budget and save for the rainy days. With the state of the global economy, many are making drastic adjustment to survive. Hence, it's wrong to mock or cuss out anybody on their modus operandi! Payday for some people are either monthly, bi-weekly, weekly or daily. Regardless of one's method of income, there MUST be some basics at home. I am talking of non-perishable foods, like grains, dried condiments and canned foods.The quantity and brand depends on the pocket of the individuals. I am talking about this because an extended relative complained that the new comer in their home eats a lot! I laughed, though, I understood his pain. They live on a monthly budget and he is feeling the pinch. They don't know how to tell him to reduce his eating, so as not to look bad. 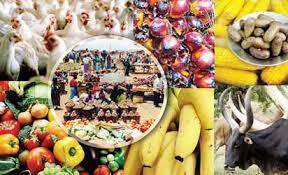 Food is a hot topic amongst women in the market, in between haggling price with the seller, discussion is going on o! New tips and recipes are learnt through this way, I tell you. What about time of eating? People take breakfast, lunch and dinner at various hours depending on their lifestyle and age of family members. Some families take breakfast as early as 7 :00am, Lunch 1:00pm and dinner 6:00pm. Presently, it's 1:12pm and am just having my breakfast of iyan with ewedu & stew with brokoto, while I type. My kids are in the kitchen preparing their brunch of mac and cheese. Now, if a guest or relative comes to my home, it is either I adjust my routine to suit the person, or the person conforms to mine! 1}The person does not have many mouths to feed! 2}The money does not come out of the person's pocket! 3}The person is not the one doing the cooking! 4}The person is not the one managing the family resources! 5}The person is a relative living with a relation!